It brightens our day when we brighten the day of someone by removing their barriers to great experiences. Our success is measured in the number of people we can help with the quality of programs and services we provide. 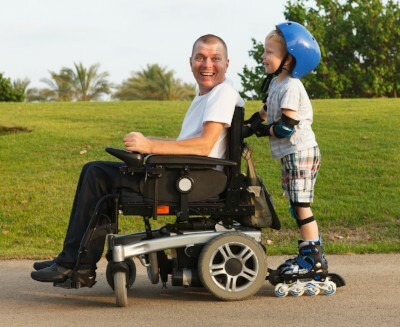 Providing freedom and solutions for people with disabilities to know life beyond limitations takes place in many ways. Our programs are fueled by our dedicated staff, caring volunteers and generous donors like you. 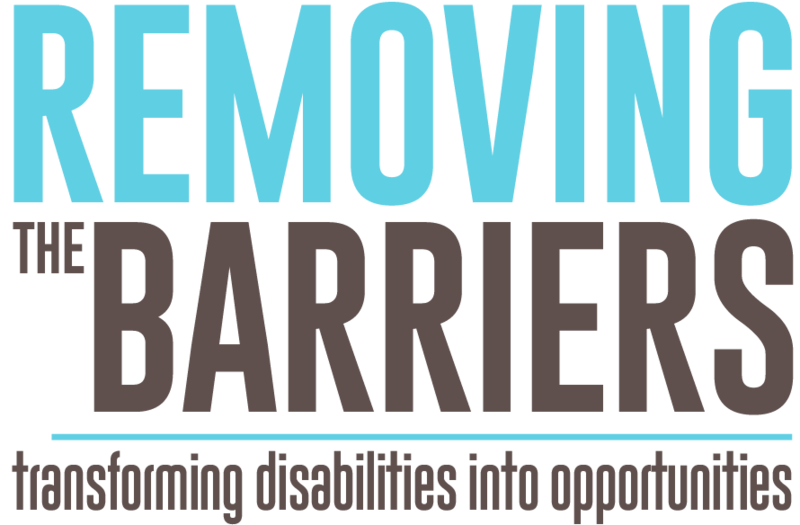 Removing The Barrier's programs, services, information and resources help transform disabilities into opportunities. When Randy Chesnut became the Director at the Tri-State Christian Camp he ushered in an opportunity worth seizing. The chance to help a small camp become a camp and retreat center that served “all God’s children.” Randy, a board member of Removing the Barriers Initiative and an active player in helping to create StirringWaters, understood the balance between creating StirringWaters and meeting the present needs of people with special needs within his area. Initially we shuttled equipment seven hours one way to meet the needs of both central Florida and the Tri-State region around the Florida panhandle. But with the help of a grant from the Florida Fish and Wildlife Foundation we got a second wheelchair inclusive golf car shuttle, we purchased a second S.A.F.E. Archery set up, and did a fundraiser to buy two 14 person Voyageur canoes, all to be based at the Tri-State Camp near DeFuniak Springs. This Christian camp had a support base of only 11 churches, but since the hurricane they are down to only 7 supporting churches. But their location is strategic and their vision unphased. The next step is to connect the buildings with sidewalks and create more ADA bathrooms in their cabins. They even have plans to build Florida’s second zipline that is accessible to people with spinal cord damage. They have already taken their adaptive equipment to serval programs serving people with special needs within the Tri-State Region. The Rotary camp that serves the Big Bend section of Florida used Tri-State Camp as a training center for their leaders and the Camp has extended an offer to them to fully move the program to the Tri-State Camp. We especially implore churches and groups looking for a retreat site to consider using the Tri-State campus. It is only 20 miles from the Emerald Coast beaches, sleeps 100 people, and is in a beautiful wooded site. Contact Randy Chesnut: randyforcamp@gmail.com. Help us expand the campus, click the Tri-State link and DONATE NOW. It brightens our day when we brighten the day of someone by removing their barriers to great experiences. With support from donors, churches, businesses and foundations, we are able to move from site to site, event to event, with our specialized equipment in order to make programs inclusive of all abilities. Removing the Barriers and StirringWaters were invited to be part of the Step Up for Down Syndrome walk at Lake Eola Park in Orlando. We took our wheelchair inclusive shuttle, our S.A.F.E. Archery tic tac toe, and our inflatable arch to use for the starting line of the walk. Little did we know we were going to be visited by Super Heroes, and, that they would pose for a photo in front of the StirringWaters arch. Some of them even came by the archery and tried tested their ability in playing tic tac toe. To be honest – archery tic tac toe was not one of their super powers. With over 5000 people gathering to raise money for the Down Syndrome community efforts we could not help but feel good about helping out. A team of students belonging to The Outlet in Lake Wales, staff from Candlelight Academy, and students from UCF all joined in to help us bring joy into the lives of people and families living with Down Syndrome. In 2018 we have served events with nearly 200,000 participants – from Palm Beach County to Okaloosa County in Florida and even an event in Winder, Georgia. Most of our programming is driven by the Church, so it is good to see Christians actually living out the teachings of Jesus when it comes to helping people with disabilities – we really could not do it without them. If you want to partner with us to serve your community please contact bill@stirringh2o.com. Help us brighten the day for people with disabilities, donate now by clicking the Brighten Their Day link above. Not all injuries are visible, help us help our Heros when they arrive home from being deployed. This program helps Veterans and their families reconnect, focusing on family activities and coming back together after spending time apart. COMING SOON! StirringWaters is a water park specifically designed with "Adventure Therapy" in mind. Join us in our drive the build the most inclusive, family oriented, therapeutic water park experience built to date. ​Kamp Friendship is a special camp for people with special needs. It introduces them to the out of doors and new experiences. The original Kamp Friendship was created by Wild Creek Adventures and the Circle of Friends and held in 2008 in Polk County at Lake Aurora Christian Camp. It continues today under the direction of Lake Aurora Christian Camp. Current plans are to begin the Emerald Coast Camp Friendship near DeFuniak Springs, Florida in 2018. 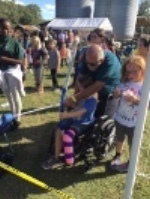 It is being created by Removing The Barriers Initiative in cooperation with Tri-State Christian Camp and the Florida Disabled Outdoors Association.